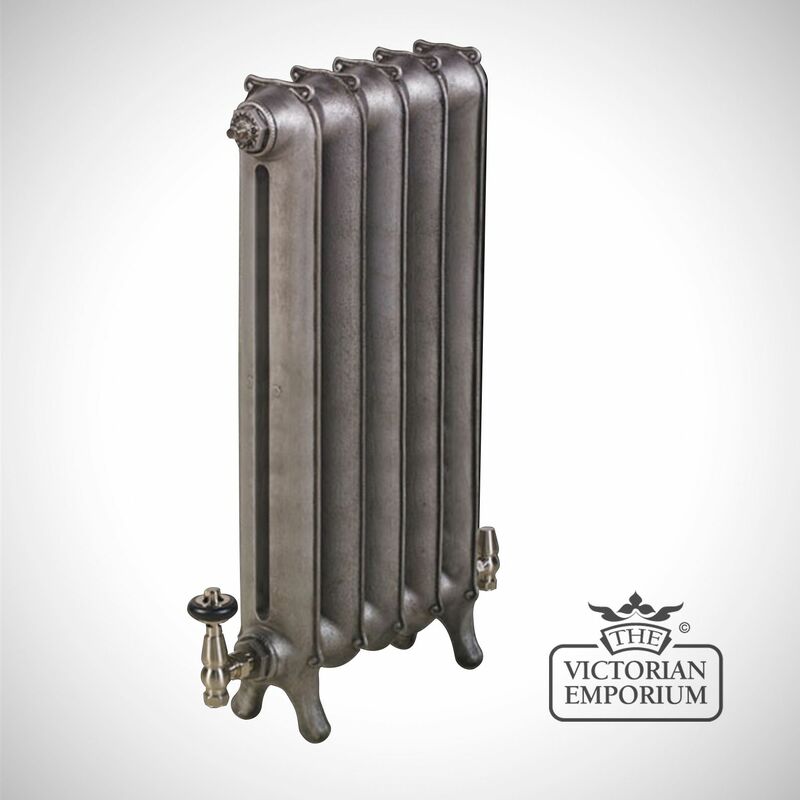 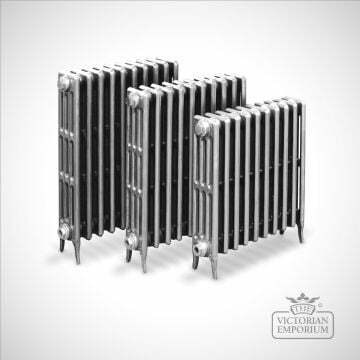 The Cadogan tall cast iron radiator was first produced in America in the 1880s and was later manufactured in Britain. 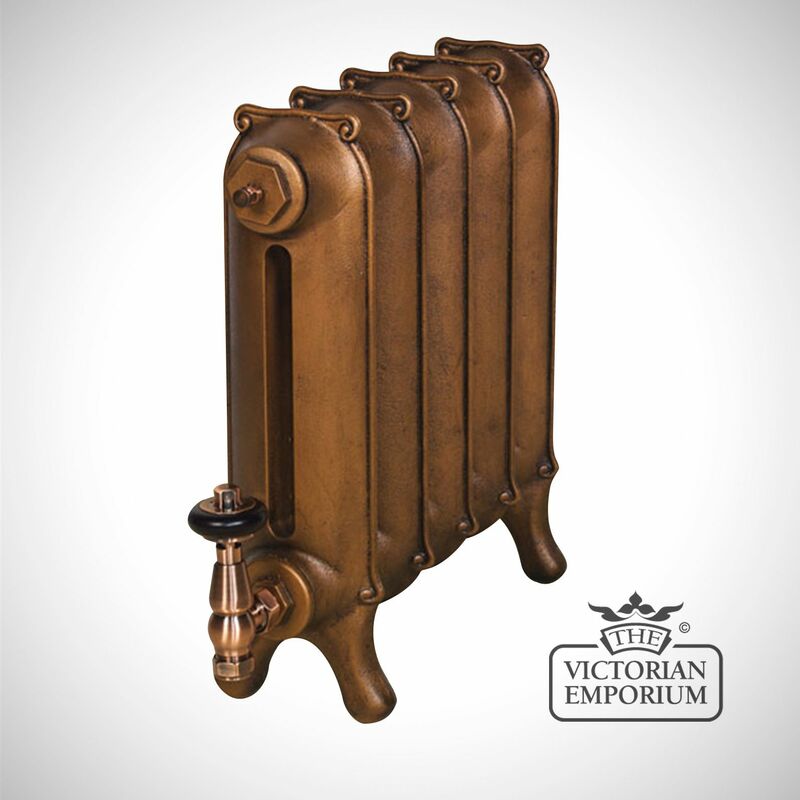 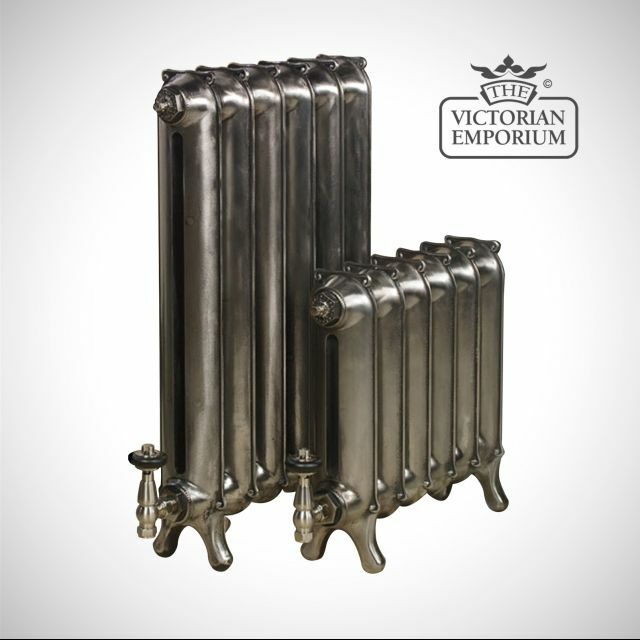 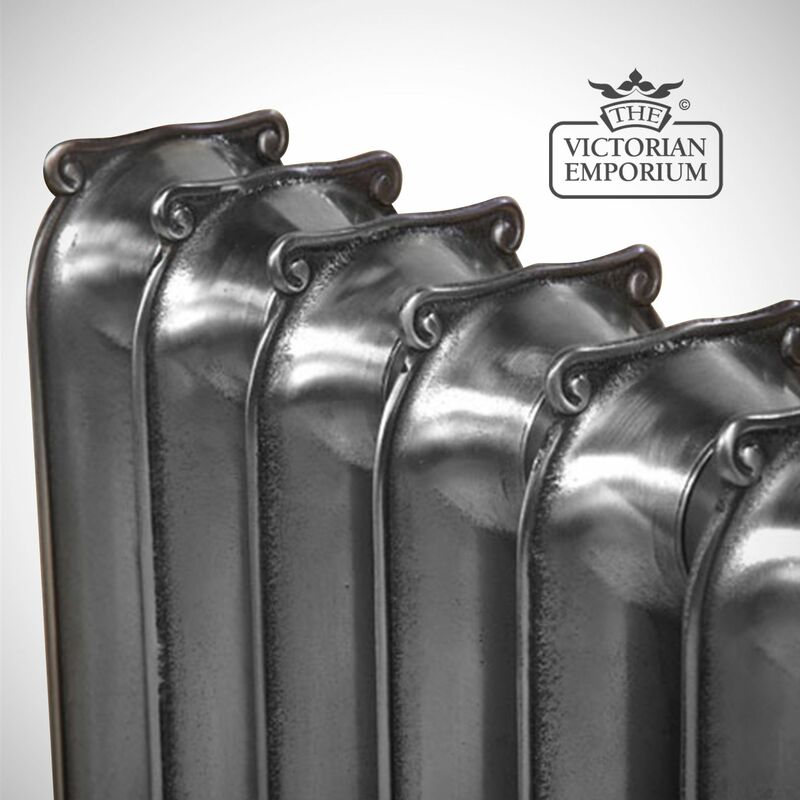 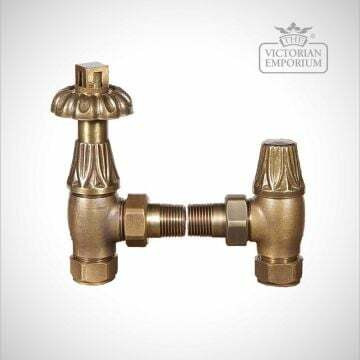 The Cadogan cast iron radiator was first produced in America in the 1880s and was later manufactured in Britain. 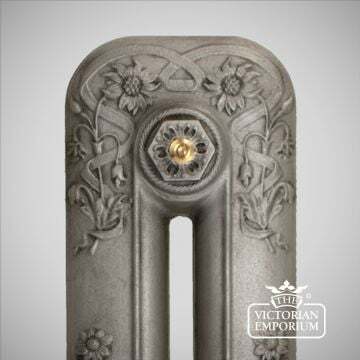 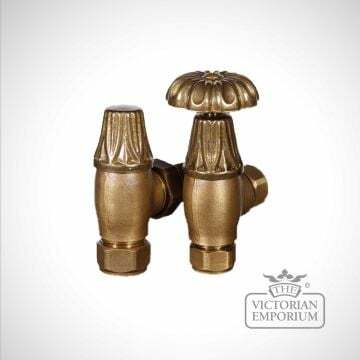 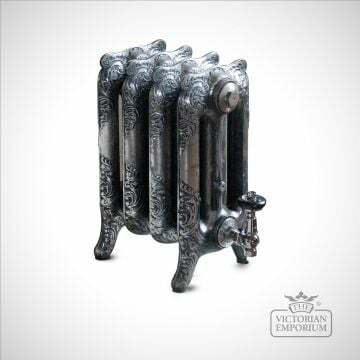 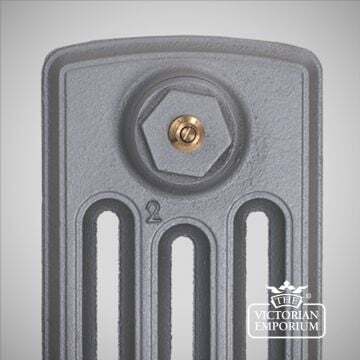 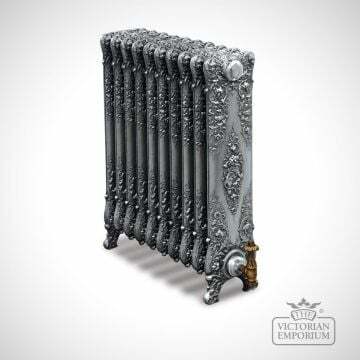 The radiator is a one column cast iron curly eared princess radiator with a fine etched detail along its edge crowning to its top with a curled detail. 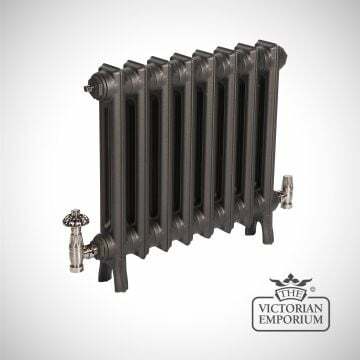 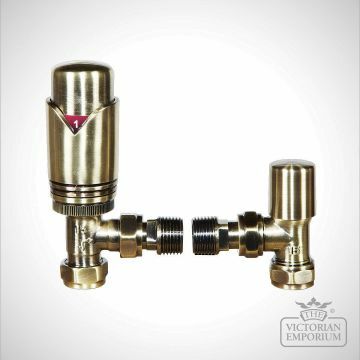 Beautifully elegant, the Cadogan cast iron radiator was installed in both public and privately owned buildings during the late Victorian era. 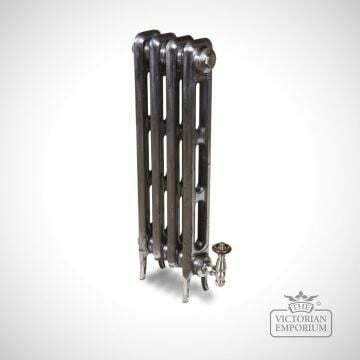 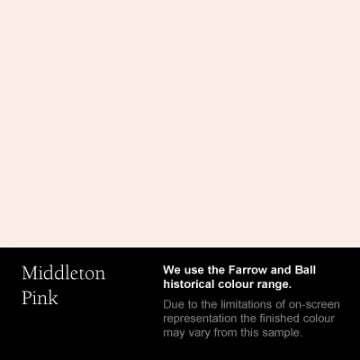 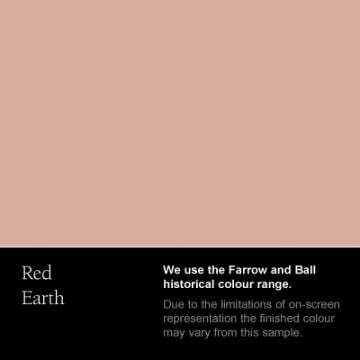 The simple handsome design provides a contemporary look for the more modern setting as well as an authentic look for the period home. 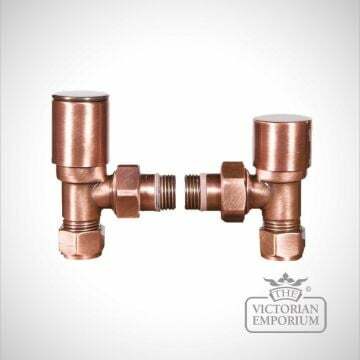 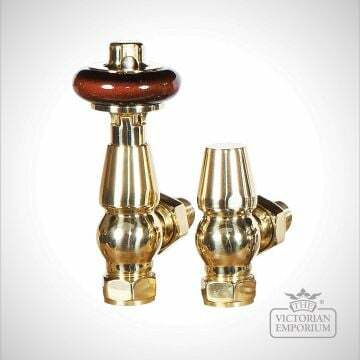 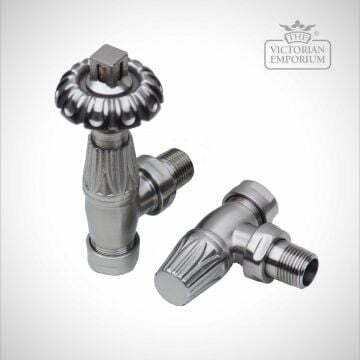 Available in 2 heights: 450mm and 750mm.